At Texas Gold Connection, all of your jewelry repair work is done on-site, by our one of our master jewelers. With almost 40 years of experience repairing and restoring all types of jewelry, you can feel confident that your heirloom jewelry will be repaired quickly and with expert craftsmanship. We combine old world skill, with the latest tools, including laser welding technology, to repair virtually any type of jewelry. This means your jewelry will never have leave our shop, and is typically done within 3-5 business days of drop off, depending on our work load. Ring Sizing - We can size all types of rings up or down to fit your finger. We are able to size white, yellow or rose gold, platinum, and sterling silver. 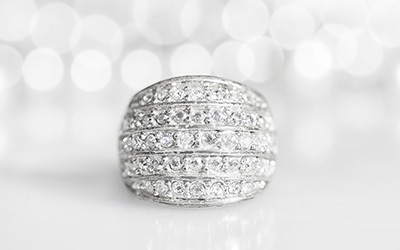 When a ring has been expertly sized, you'd never know the ring had been altered. Stone Setting and Prong Repair - From diamonds and rubies to pearls and opals, we can set all types of stones. 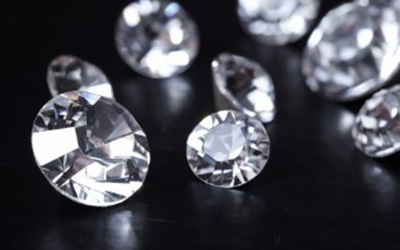 We have the ability to perfectly match a missing gemstone or diamond, or source a brand new gemstone to change the look of your existing piece. To make sure your stones don't fall out in the first place. We also retip worn or broken prongs in all metals. Chain Repair - We solder all types of broken chain in all metals. We can also remove or repair severely tangled chain sections. Clasp Repair - We can repair or replace all types of chain or bracelets clasps. Often a clasp simply needs tightening or simple repair. If necessary we can also replace with a matching or new clasp style. Have a question about our jewelry repair services? Please call or bring in your piece and we can inspect it, and give an estimate to repair. Most repair work is done within 3-5 business days, however, this can be longer if the job is more complicated, or requires us to order special parts. Jewelry is typically very small and dainty, which makes it difficult to ensure all the details are perfect with the naked eye. Making a repair without a microscope is like flying blind: Cracks and porosity in the metal may be missed, loose gems and settings cannot be inspected thoroughly, and fine scratches, smudges, or dents can go unnoticed. All these damages, no matter how small, can add up to piece that’s simply unfit for a lifetime of confident wear. 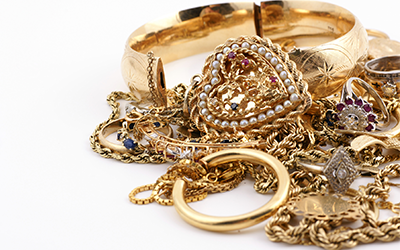 What it will cost to fix your jewelry shouldn’t be a mystery. 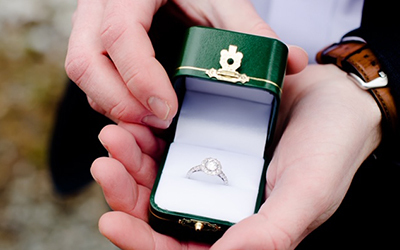 An experienced and reputable jeweler should be able to quote a firm estimate and stick to that number from beginning to end. In addition, have your jeweler provide you with clear before and after pictures to demonstrate all the work done and offer a guarantee to its quality. When old world techniques meet 21st century technology, the results can be truly stunning. By using a cutting edge laser welder, pieces can be resized, retipped, and otherwise restored with none of the seams or fragile bonds from repairs in the past. What’s more, because the process is both more efficient with time and materials, repairs are less costly overall. If your piece is of great value and sentiment to you, don’t you want to know who or where your property is going to? The jewelry industry has changed a great deal in recent years and few jewelers actually do their own work. Instead, they will send it out (sometimes even out of state) for someone else to do. Make sure your “jeweler” can work on fine pieces, not just sell them. All jewelry repairs are warranted for one year from delivery date, unless otherwise specified. Only the specific repairs performed are covered. Problems resulting from abusive wear, customer negligence, or accidental damage are not covered. We do not guarantee the security of stones we did not set, in jewelry we did not make. This may seem obvious, but to be clear, for repairs & restorations, stone tightening and any other maintenance, we only guarantee the work we do. (For example, if we size a ring we will do our best to check the quality of the settings, but we do not take liability for work done by other companies.) Items left over 12 months may be sold to recover repair and service costs.